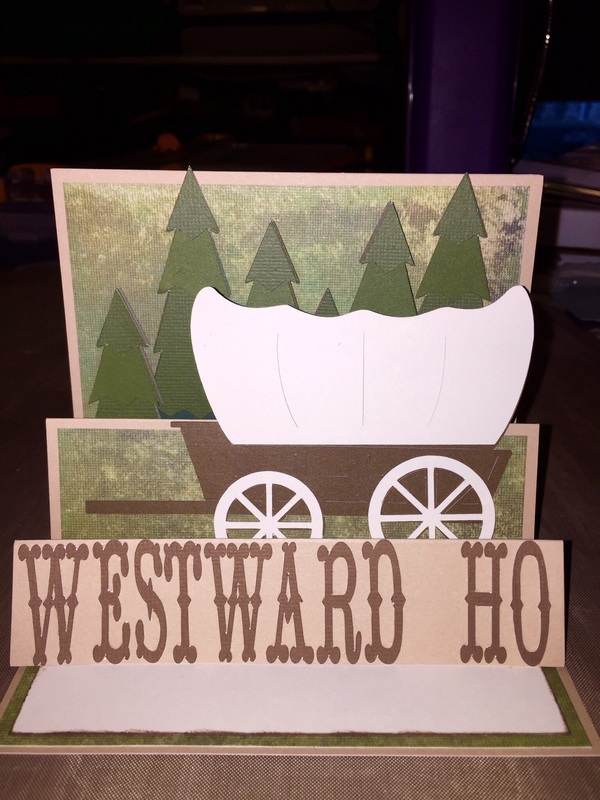 Friends of mine are preparing to pack up and move their family from Kentucky to Oregon so I wanted to make a card for their going away party. 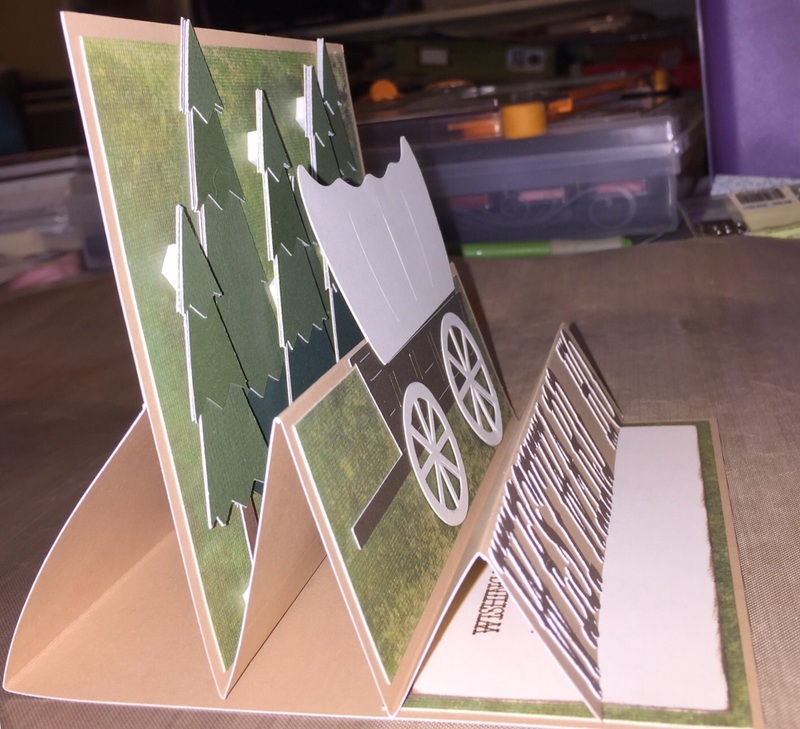 I’ve been noticing a variety of stand-up or dimensional cards recently, both on Pinterest and some of the blogs I follow, and have been wanting to try one myself – this is what I came up with. 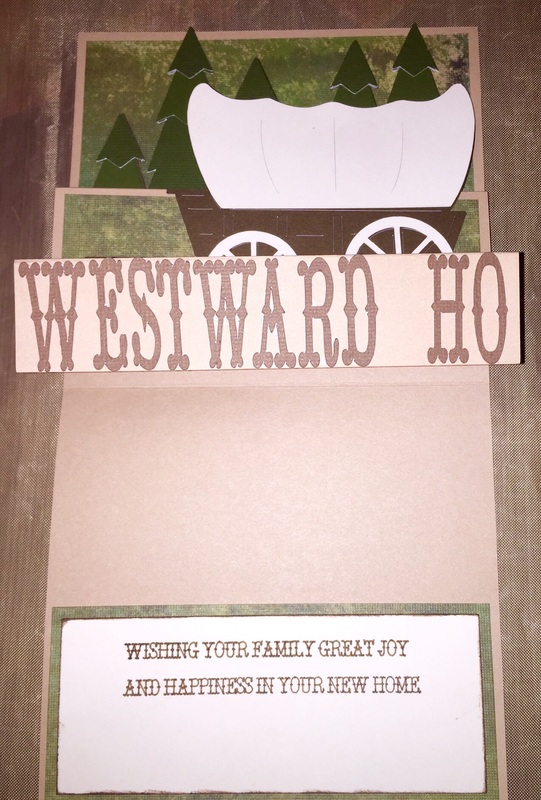 I used Cricut Design Space to layout my images and text and Cricut Explore to do the cuts as well as the written text; cartridges used: Old West (Wagon), Outdoor Man (Pine trees), and Country Life (text). All cardstock was from Close To My Heart and the patterned background paper was from my personal stash.